A delicate, golden bangle with a wire heart focal. 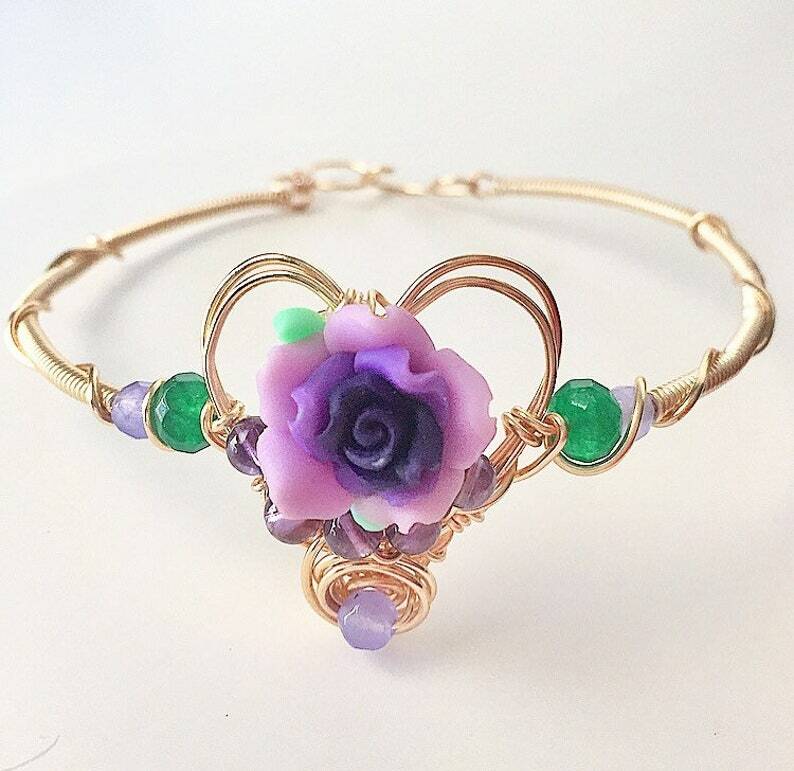 The heart is accented with Amethyst beads, and features an ombré, polymer clay, rose in the center.The wrapped bracelet band has emerald and lavender jade beads on either side of the heart. The closure is a handmade S hook. This bangle will comfortably fit wrists up to 7”.